Alpine’s asbestos abatement crews are fully trained and insured for environmental liability and workers compensation. Every Alpine contract has a clear start and completion date with inspection passage guaranteed. Our stringent asbestos abatement work practices ensure a safe jobsite and provide high quality results. Why is Asbestos Abatement Needed? 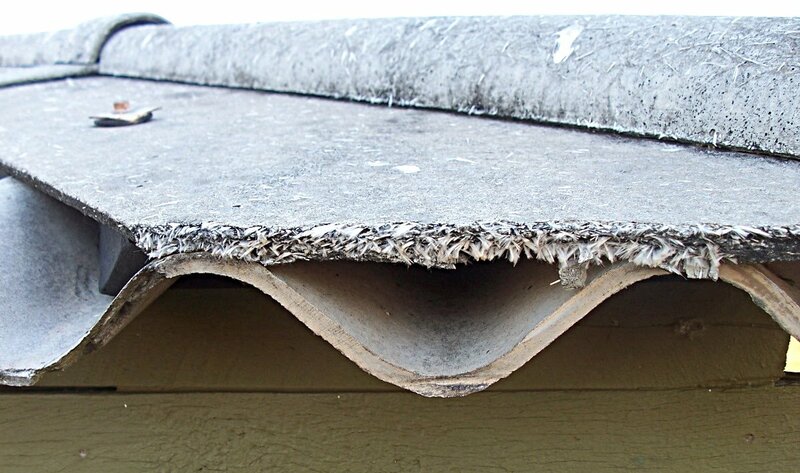 Asbestos was commonly used in many building materials such as insulation, walls, flooring and structural fireproofing. A prevalent material in many pre-1980’s buildings, asbestos poses a minimal hazard when left undisturbed and in good condition. However, if a renovation or maintenance project results in the asbestos being disturbed, abatement is required both by state and federal law. To respond to this need of many of our clients, Alpine launched its asbestos division in 2017. As with our lead and mold projects, we strongly emphasize safe work practices and attention to detail when working with our clients to craft the best possible solution to their environmental issues. We understand how important a healthy home is and can help guide our clients through the asbestos abatement process from start to finish. Having environmental work done on your home can be daunting with complex regulations and special work practices. Our experienced and knowledgeable team is ready to handle your asbestos abatement safely, quickly and cost efficiently to minimize the disruptions to your life while improving the condition of your home. We specialize in creatively phasing and scheduling asbestos abatement projects to have minimal impact on the building occupants or the construction project. With nearly thirty years’ experience working with a variety of commercial clients, along with multiple skilled crews and access to specialized equipment, we’re comfortable working on any size project and coordinating with multiple vendors to keep your project running as smoothly as possible. Step 1: Asbestos Testing – Before beginning Asbestos abatement, Asbestos testing must be completed. A licensed asbestos inspector must inspect the building before any abatement is done. To avoid conflict of interest, asbestos abatement contractors are legally unable to carry out inspections. However, we have several knowledgeable and thorough inspectors we refer our clients to. Once the property is inspected, a detailed asbestos inspection report is generated. Step 2: Asbestos Inspection Report – Once the asbestos report is complete, we will schedule a walkthrough of the property to examine the contaminated areas. We then review the asbestos inspection report and our site review findings with you, making sure all of the details are clear and understood. Step 3: Asbestos Abatement Plan – Based on the asbestos inspection report, our site review, and our conversation with you, we develop a detailed asbestos abatement scope of work with pricing. Once a contract is signed, the actual asbestos abatement work will begin. Step 4: Asbestos Abatement Work – There are strict laws for asbestos removal and handling to protect everyone, from the occupants, to the workers, to the surrounding neighborhood. 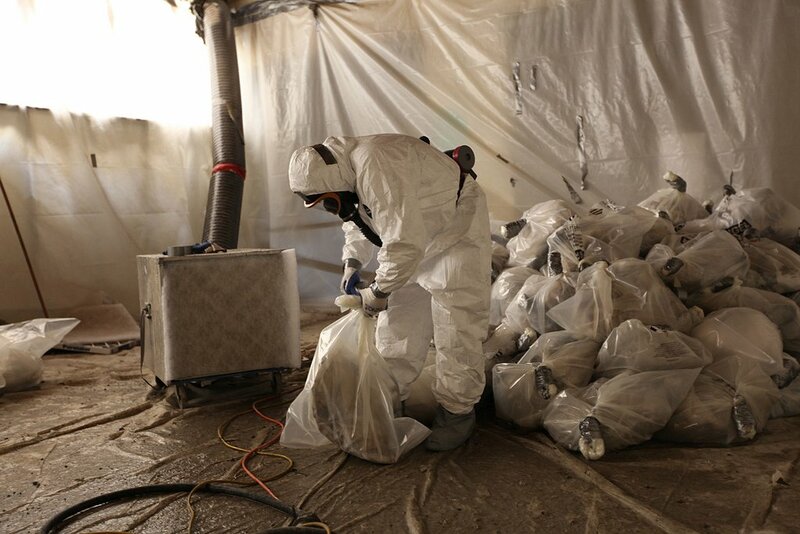 Alpine’s asbestos abatement crew members are licensed and trained in all asbestos abatement methods including removal of asbestos contaminated materials and encapsulation (covering with a protective coating) of affected areas. Asbestos is a naturally occurring fibrous mineral that has been used in many products due to its unique and useful properties. It’s fireproof, durable, flexible and chemical resistant. But its tiny fibers, once they become airborne, can be inhaled, causing serious health problems. Asbestos can be found in a variety of places in buildings built before the 1980’s. Vinyl and linoleum flooring, fire proofing, roof shingles, and insulation (around boilers, ducts, pipes, sheeting, fireplaces) are some of the most common areas it was used. Asbestos exposure can cause asbestosis, a long term and permanent scarring of the lungs which causes shortness of breath, and mesothelioma, a rare and particularly deadly form of lung cancer. How can I test for asbestos? The best option is to contact an industrial hygienist firm to perform sampling and testing, especially if you are planning a renovation or maintenance project that could disturb asbestos. How do you safely remove asbestos? Before any removal takes place, a licensed asbestos crew must contain the work area with poly sheeting and HEPA filtered negative air machines, creating a containment area that will prevent any asbestos fibers from escaping from the work area. 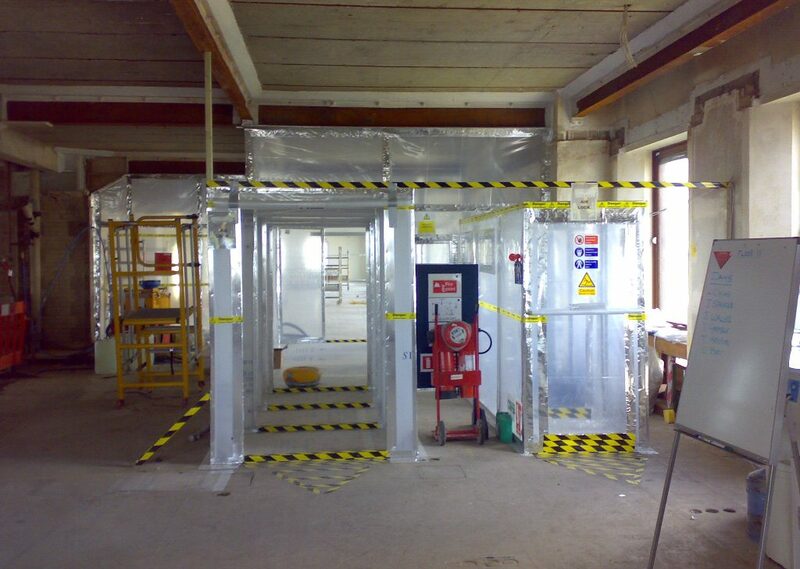 The licensed asbestos workers, wearing full Tyvek suits and HEPA filtered respirators, then remove or otherwise contain the asbestos materials. After the abatement is complete, an extensive final cleaning is performed and the industrial hygienist runs air tests to ensure the work area is safe to be reoccupied. If you have more questions we’re ready to help.